(Miami Herald) Hugo Chávez and the Castro brothers knew in the summer of 2011 that the Venezuelan’s chances of survival were almost nil and began to prepare for a post-Chávez era. They would try to cure the loquatious lieutenant colonel, of course, but ever since the doctors realized the type of cancer he had (an aggressive and rare rhabdomyosarcoma), the gravity and extent of the metastasis and the delay in taking him to the operating room, nobody had any illusions. 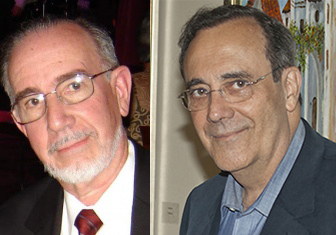 To the Cuban brothers, it was essential to sedate all the Venezuelans, especially the Chavistas, for the purpose of controlling and manipulating the transfer of authority in Caracas, so that Cuba might not lose the enormous Venezuelan subsidy, estimated at $10 billion a year by the University of Miami’s Institute for Cuban Studies. 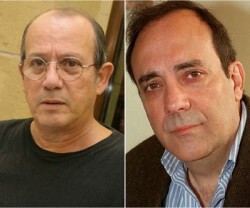 In August 2012, the Castros and the doctors assigned to treat such a delicate patient agreed that the outcome could come soon and that there was no guarantee that Chávez would arrive in a reasonable physical and mental condition at the December election (which is exactly what happened), so they moved the election up to Oct. 7. Those two months were crucial. At that time, the Castros clearly thought that Chávez’s best replacement, from the perspective of Cuban interests, was Nicolás Maduro. Here was a reasonably intelligent man, at least voluble and endowed with a good memory, who was able to spout flamboyant historical sophistry of the type Fidel and Hugo like so much. 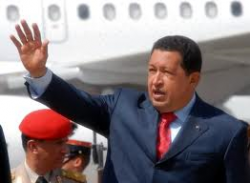 He was docile, obedient and accepted Castroism’s moral and ideological supremacy the way Chávez did. He seemed to be an attentive and disciplined disciple. Besides, as often happens in the world of politics, one of his comparative advantages â in terms of the Castros â was his helplessness. Nicolás Maduro was not part of the 1992 coup attempt. He had no roots in the army. He did not control the United Socialist Party of Venezuela and wasn’t even a member of the National Assembly. In fact, his only tie to power was the backing of a dying Chávez and the support of the Cubans. The Castros â who have an instinct for maneuvering and an astounding ability to fleece their allies â thought that, just as Hugo Chávez found in Cuba an essential source of strategic advice, international initiatives and information about friends and foes, Nicolás Maduro, given his weakness inside Venezuela’s power groups, would follow the same pattern of emotional and political dependency. Of course, inside Venezuelan society, even inside the Chávez movement, there are many people (some of them in positions of command) who don’t approve of Cuba’s arrogant interference in the affairs of their country. To them, it is inconceivable that a poor and backward island in the Caribbean, six times smaller than their country, with less than half the population of Venezuela, abysmally managed by a family/military dynasty for 54 years, struggling to change its economic model because it knows it’s disastrous, and in need of copious subsidy lest it collapse, should govern the Venezuelans and choose Hugo Chávez’s heir. Never before had they seen such an absurdity. Soon the Castros will find out how difficult it is to control the destiny of another nation, unless they occupy it by military force, something that’s absolutely unthinkable. Then they will understand the profound meaning of the disconsolate phrase spoken by Bolívar: “I have plowed the sea.” What’s likely is that, after Chávez’s burial and despite all efforts to control the successor, the same will happen to the Venezuelan subsidy. It will soon become a memory. 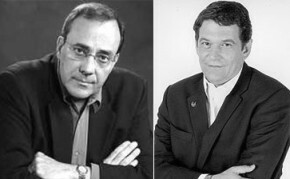 Share the post "Cuba vies for control in post-Chávez Venezuela"